Home > Blog > Popping the Bubble! 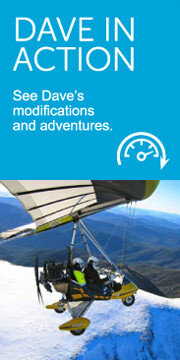 “Dave, there’s an opportunity going that might be up your alley” said Pete on the phone. “Really, what is it?” I ask suspiciously. “This Monday!” I said a little surprised as it was now Thursday. Running the curser of my trackball over next week’s commitments in my calendar, I couldn’t see how I could manage it. “Nah, Pete. I have too much on next week. I doubt I could find a carer in time anyway. I’d love to mate, but I’ll have to pass.” I said with a feeling of disappointment. “No worries mate, let me know if you change your mind” he said and hung up. 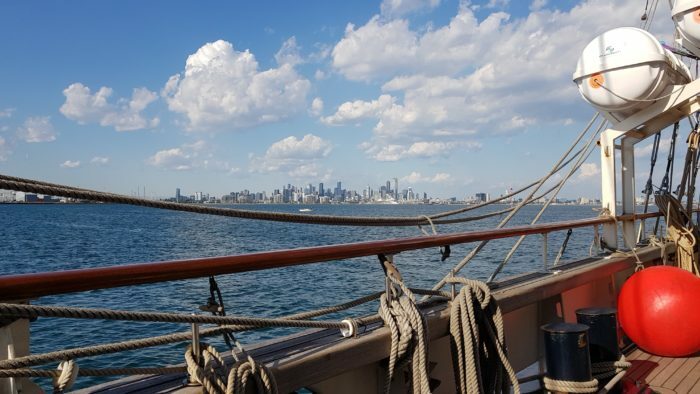 Leave Melbourne, sail out through the heads into open ocean towards Flinders Island then back. My imagination drifted, picturing myself on the deck, with sails full of wind, holding onto a rope with the ship swaying in the rolling sea, spray blasting onto my face as the waves crash on the deck. I smiled with the thought of being an old Sea Dog, just for a moment. My gaze settled on a quote on the wall above my computer: “Twenty years from now you will be more disappointed by the things you didn’t do, than by the ones you did do. So throw off the bow lines. Catch the trade winds in your sails. Explore. Dream. Discover.” (Mark Twain). I sat for a moment re-reading the quote. “I might never have this opportunity again.” I thought. Sitting at my desk, encapsulated in my own little bubble focussed on all my “important” commitments, I had a moment of redefined perspective, that in the whole scheme of life, these “commitments” weren’t really that important and if I was honest with myself, I could either reschedule, or do them when I got back. The world wasn’t going to stop turning on my account! 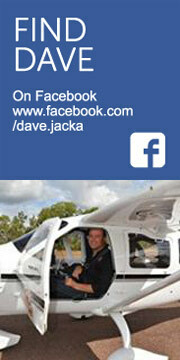 Life is about experiences and I didn’t want to be wishing I had done this 20 years ago, when I had the opportunity. It was time to “pop the bubble” and grab the opportunity. “Yep, sure is!” he said. Focussed with a clear goal, the planets magically started aligning – family and friends were able to look after our dog and cat (my wife was away overseas), & Peter Garner one of my support crew from my other trips was in. I cancelled or rescheduled commitments, sorted insurance and, following a medical clearance from the JST panel of doctors in England, at 11pm on Saturday night, I received an email saying, “Congratulations!” I was now a voyage crew member! Fliss, the 1st Mate, greeted Peter Garner and I at the Williamstown dock. Dressed in a white shirt and shorts, suited to the afternoon heat, with her English accent, she recited, with naval efficiency, the process to come on board. 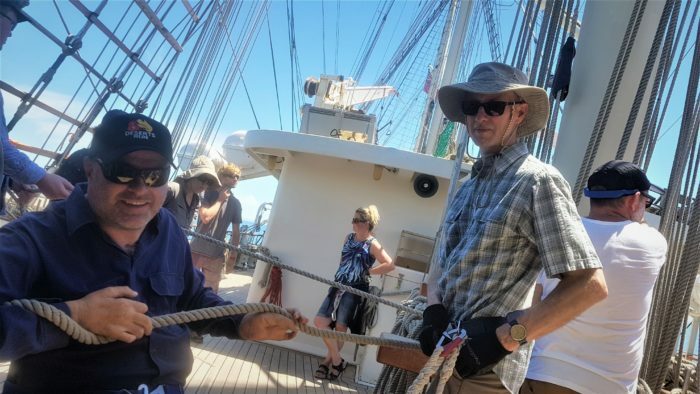 Michael, the bosun’s mate, swiftly tied the rope around my footplates and with Fliss supporting me from behind, I was swept onboard the SV Tenacious. Jenny, our group’s Watch Leader, a stylish middle-aged woman with plenty of sailing experience, took us aside explaining our Watch Cards and the times for our two watches each day. With a quick rundown on how the lifts between decks worked, we found our way to our cabin on the lower level to store all our gear. 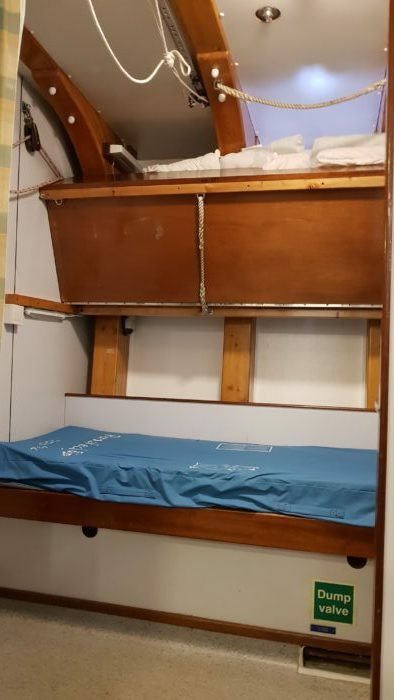 Although small, with narrow bunk beds and a small cupboard, and a curtain separating the room from the corridor, it was perfectly functional for sleeping, although at 6’ 4”, my toes were hitting the wall. I had pictured the bathroom to be no bigger than a port aloo toilet, which it was, but I was particularly impressed with the compactness. It had an adjustable sink and shower providing enough space to get a wheelchair in and do what is needed, although a carer needs to be fairly nimble to squeeze around. Following briefings and emergency drills, using pulleys and ropes to practice winching young Elise and myself, the only two wheelchair users on board, up the stairs in our chairs to the upper deck, and a stern warning by the Engineer that if anyone blocks up the toilets with an oversized deposit requiring him to pull the pump apart to unblock it, he will find the culprit, we finally motored out of Williamstown late afternoon. As the city skyline slowly drifted by in the clam afternoon warmth, to anchor off Altona for the night, I was itching to make the run through the heads into open ocean in the next day or two. On the first night, Jenny only needed two people on the midnight-to-4am watch, so Peter and I were able to sleep in, but had to be up for breakfast at 8am. Micah, the cook, made sure no one went hungry with great food catering for all diets, but if you weren’t up, you didn’t eat! With light winds forecast and cloudless skies on the second day, the permanent crew made the most of the opportunity, patiently instructing us on the finer points of sailing a tall ship, heaving and easing (pulling & releasing) the ropes to raise and lower the sails, before we were faced with the real thing. No matter what physical challenge a person had, everyone was involved utilizing their strengths and abilities, whether it was easing ropes or helming (steering the ship) for myself, or pulling the ropes like a hyperactive aerial rope performer. And somehow, out of the chaos, a functional and supportive team emerged. Late spring is usually very windy, ideal conditions for the Tenacious, providing it is in the right direction. However, this week, the weather turned out to be perfect for anything BUT sailing. The bay was like mirrored glass reflecting the blue sky. On Wednesday, at our daily morning briefing, the Captain broke the news. In his Scottish accent he said “Right everyone, we have a small problem with the generator, which means that we can’t risk going out through the heads”. We were stuck in Port Philip Bay. My fantasy of living the life of an old Sea Dog on the high seas (albeit briefly) evaporated, leaving a feeling of quiet disappointment. 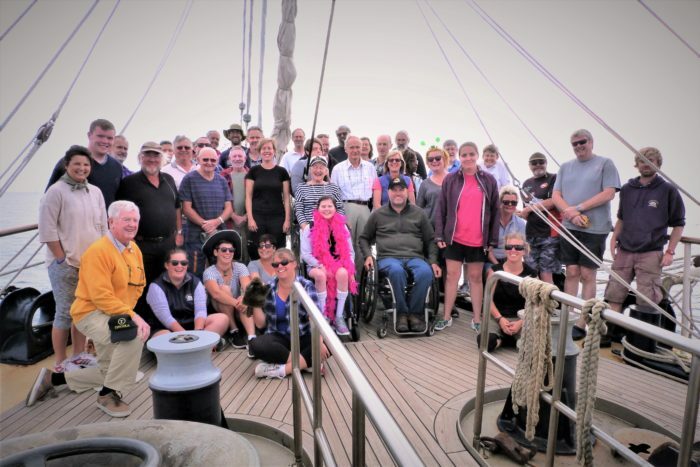 But no matter how disappointed I or the rest of the voyage crew may have felt, this is what sailing is all about – taking the good with the not so good, relinquishing fate to dictate the path of our journey, it’s all part of the adventure! When one door closes, another opens up. The Captain still had a few ideas to give us the tall ship experience. We raised anchor at Port Arlington, the previous night’s stop, and set the sails for a very leisurely (2 knot, walking pace) run to just offshore to Chelsea Beach anchoring for the night. My team was on the 8am-to-midnight watch, making it my turn at the helm, keeping the ship on its compass heading, steering with the huge power assisted wheel. The helm is in the open air, and although it was a comfortable warm day of 28 degrees, I could only imagine how challenging it would be in the elements fighting the wind, wet and cold in a churning sea. While Peter was at the helm, we had some excitement for half an hour when a squall suddenly came through. As the huge sails grabbed the wind, the Tenacious leant over like an ocean racing yacht. I had to quickly wheel my chair to the top side of the deck for a flatter spot, put my brakes on and hang on, so I didn’t roll across the deck launching myself over the rail. As the speed of the ship rose from 2, to more respectable 6 knots, we got a small taste of what sailing on the high seas may be like. It was awesome! I have always found that getting into a new routine on any of my trips is a small shock to the system initially, but after a few days it becomes a normal way of life, and living on the Tenacious was no exception. The varying watch times, usually a 4-hour block, keeping a watch for other boats, recording the position and conditions, helming (steering the ship) or doing a walk around the ship checking for anything out of the ordinary, my sleep was a little broken, but nothing a quick snooze couldn’t fix. Innovating with old technology, the permanent crew had ways of enabling and overcoming all access obstacles. 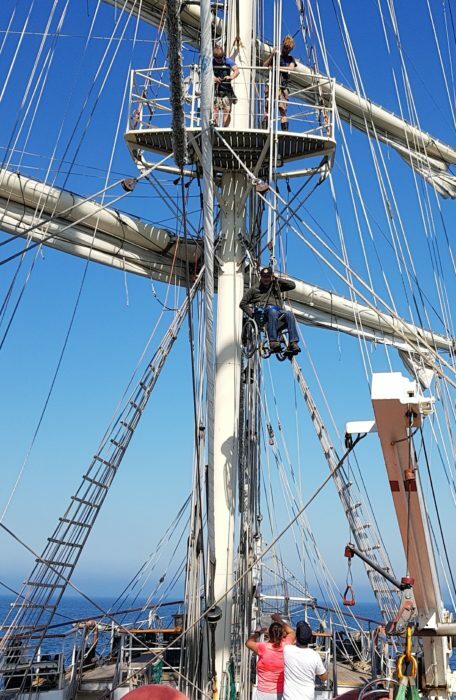 And today was the day I was going up the mast to the crow’s nest, some 30 feet up! 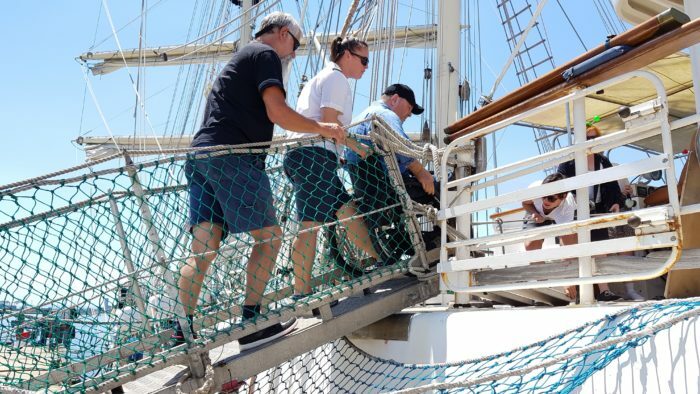 Most of the voyage crew had climbed up on the second day, even the vibrant and tenacious Margery; an 83-year young lady who sailed on tall ships in her younger days had a go. Today with the never ending calm conditions, it was Margery, Elise and my turn to reach the great heights. 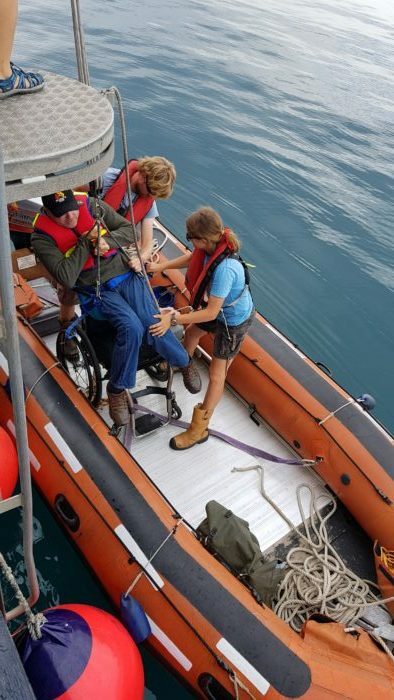 In keeping with the tall ship era, Fliss, and Jeff, the Support Medical Purser, a big Canadian bloke, attached ropes from pulleys to the cradle under my wheelchair and to the sling I was sitting on as a backup just in case one rope broke. With each shout of “Heave” from Fliss, 10 of the voyage crew pulled on the main rope flinging me into the air like a trapeze performer. I wasn’t nervous, I had total faith in the crew that they wouldn’t let go of the rope! The higher I went up the mast to the crow’s nest in the warm morning sunshine, the view out over the iridescent blue bay with the faint outline of the city skyline in the distance was spectacular. Whether it is going up a mast or ashore is a team effort. “Who wants to swim with the seals” said Jenny at our morning team meeting. A few people put their hand up including Peter. It’d have to be a lot hotter for me to even consider going for a swim, but I was keen to go out with them to check out the dogs of the sea. And the idea of going in one of the inflatable Zodiacs, intrigued me as to how they were going to do it. 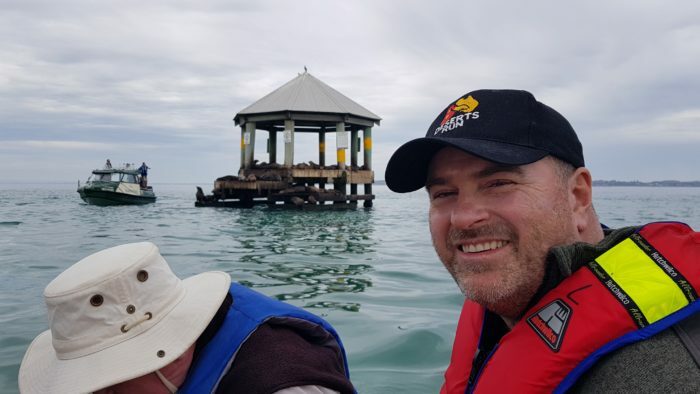 Without a breath of wind under a dull, overcast sky, we motored to Chainman’s Hat, an octagonal structure serving as a shipping channel marker and haul-out for local brown fur seals, in the South Channel of Port Phillip Bay. 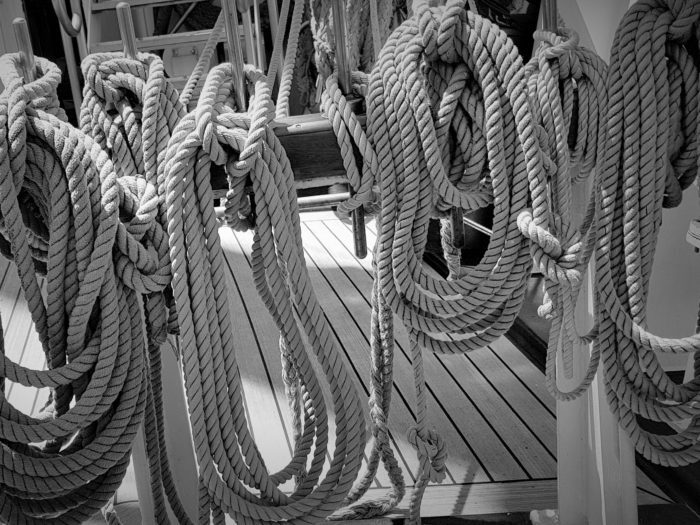 With the two inflatables in the water, and a sling under my bum, Fliss connected the shackle to my harness, I levitated as Jeff gave the command to “heave” to the line of people holding the rope, Fliss swinging me out over the side of the ship on a davit arm. 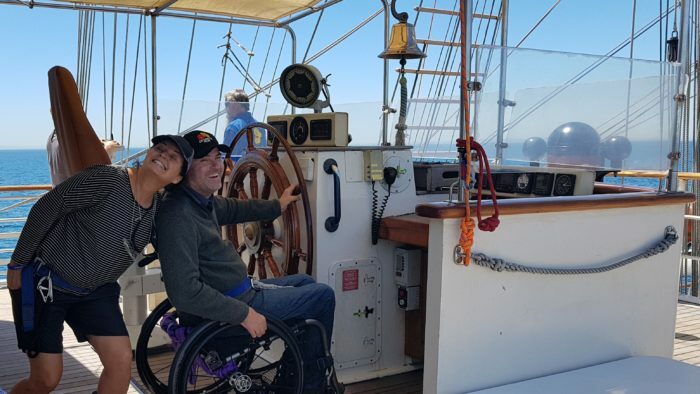 Jeff lowered my wheelchair to Ben the 3rd mate and Lucy the bosun’s mate, in the inflatable, I floated down into my wheelchair. Fortunately, it was a pretty easy exercise in the calm conditions, but if there was a swell, it would be quite exciting. Parks Victoria had beaten us to the platform and were in the process of tranquilizing one of the seals to remove some debris wrapped around it. Not wanting to swim with very annoyed seals, we headed to Point Nepean’s historic Quarantine Station for some sightseeing. Landing on the beach like an SAS assault team in the inflatables (maybe that is a little exaggerated), it was a nice change to go for a push longer than the circumference of the ships deck, and explore the hidden history. 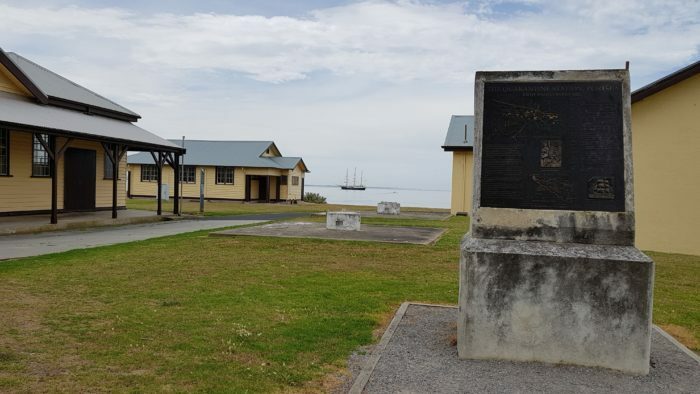 The Quarantine Station was established in the 1850s to stop the outbreak of disease when the passenger ships reached Melbourne, & then more recently was used as an army Officer Cadet School. 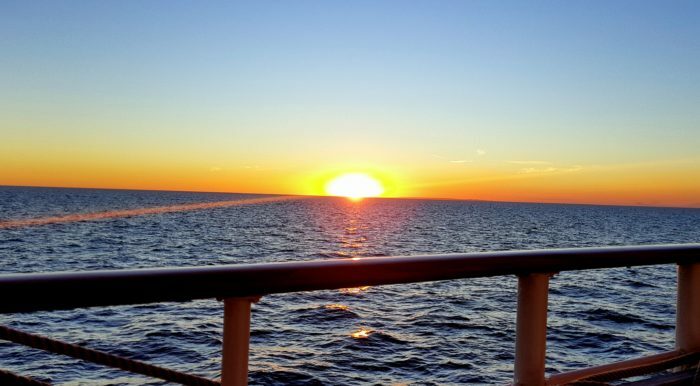 Once back on the ship, after kitchen duty, and a few wines at “The Courage Bar” where we relived the week’s adventure with other voyage crew, I went outside to see my last sunset from the deck before we’d be heading back to our start point at Williamstown tomorrow. As the sun dipped below the horizon, the orange hue transforming the sky into a water colour painting, my thoughts drifted through my experiences over the last six days, and the one thing that was ever present were the people I had met and shared these experiences with. Although we had never met each other before, the common link we all had was an adventurous heart that brought us all together. We were all from different walks of life, ages and abilities, but each person pitched in, and when someone needed a helping hand or even just for moral support it was always there. They are what made it an experience to remember. It’s so easy to get caught up with all our “important” things that we feel we have to do, that it can be difficult to see beyond this encapsulating bubble we form around our lives. This can blind us to opportunities that gently present themselves. If not grabbed by both hands, they may slip by without a whisper, missing the chance to have an amazing experience or do something that shapes who we are for the better. I’m glad that I took a moment to step back to look at the bigger picture, popping my proverbial bubble, and grabbing the opportunity before it passed me by. It gave me a wonderful experience and from now on, I’m going to be “popping the bubble”, a little more often! 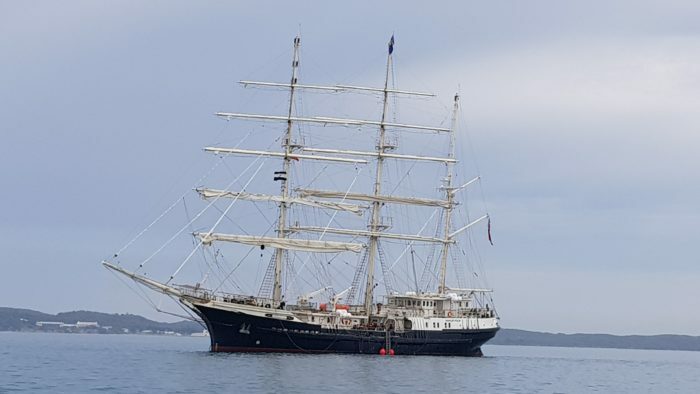 Thanks to the Jubilee Sailing Trust for providing this opportunity and I urge anyone who has a spark of adventure in their soul to check them out.